Dark ruby red with slight purple hints. 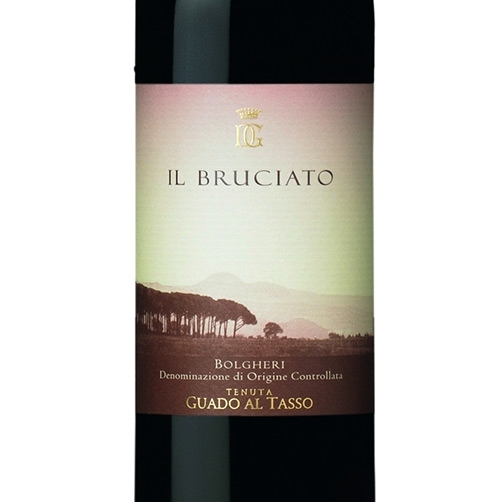 The bouquet is dominated by intense notes of ripe red fruit, followed by pleasant scents of sweet spices. 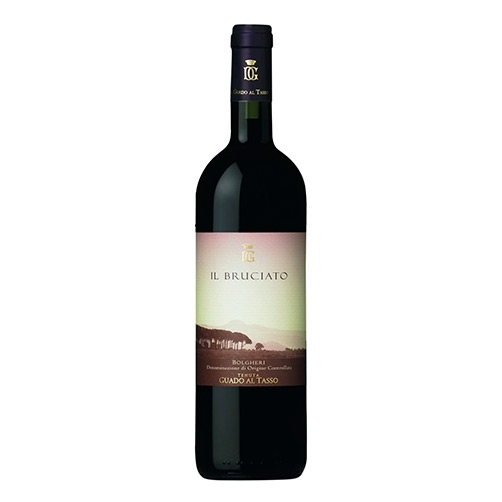 Balanced, harmonious and enveloping on the palate, characterised by a sinuous tannic structure. A very pleasant wine to drink. With all courses of a meal, it pairs well with cheeses and soups. Excellent with roast and braised meats. 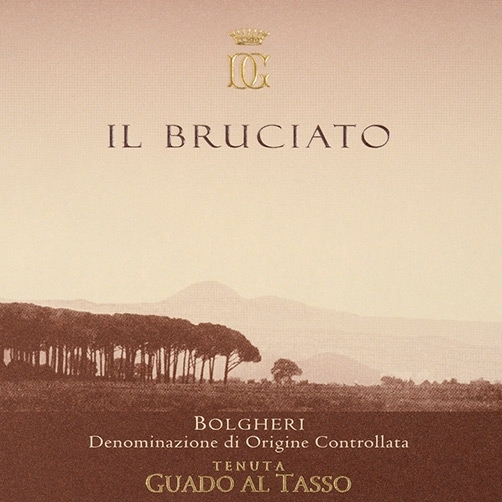 "Il Bruciato" is the younger brother of "Guado al Tasso", a Bolgheri of great intensity, characterised by a modern and harmonious style. A red which comes from estate vineyards that don't reach the heights necessary for the production of Guado al Tasso, land parcels where vine management is aimed, nevertheless at achieving the highest possible quality. It spends at last eight months ageing in barriques and at least four in the bottle. The result is a wine of outstanding intensity and smoothness, the perfect introduction to the appellation and the Estate.